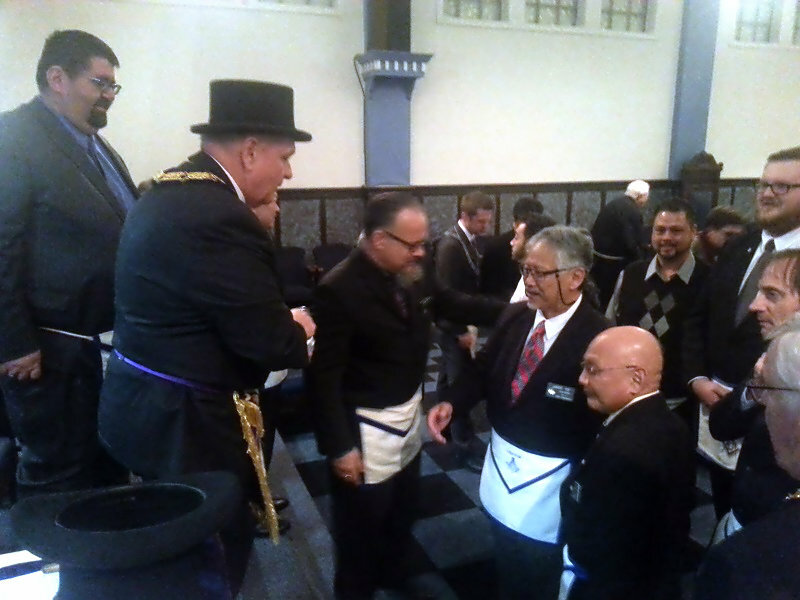 A Grand, Eventful, and Memorable evening for all those present at Hesperia Lodge #411 A.F. & A.M.’s stated meeting on May 25, 2017. 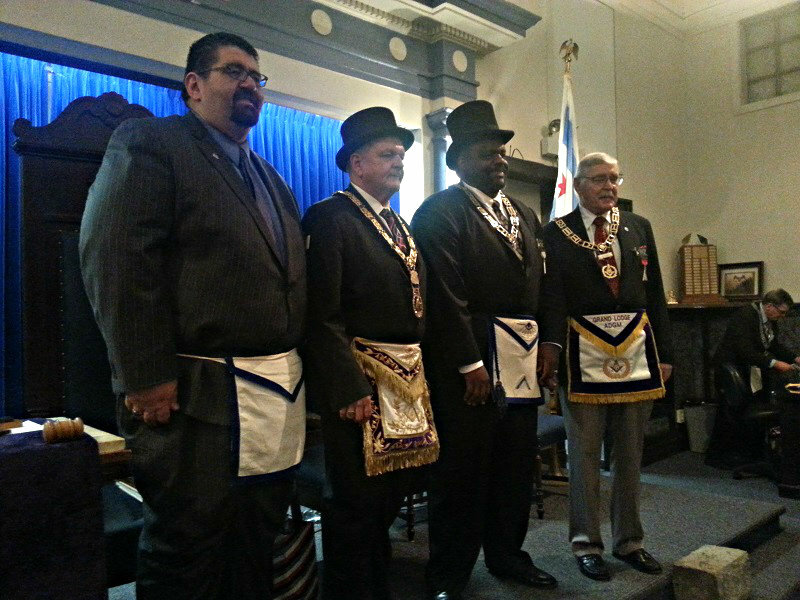 In attendance our Most Worshipful Grand Master Tony Cracco, our Area Deputy GM R.W. Herbert Lindberg, Asst. 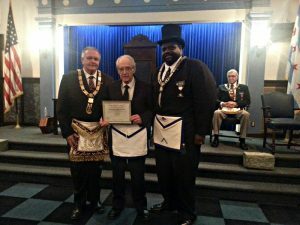 Grand Chancellor R.W. John Loayza, Area Asst DGM Bob Nielsen, GL IMOS Chairman Ron Ehemann and GL Leadership Development Committee Chairman Luciano Meirelles Azevedo. 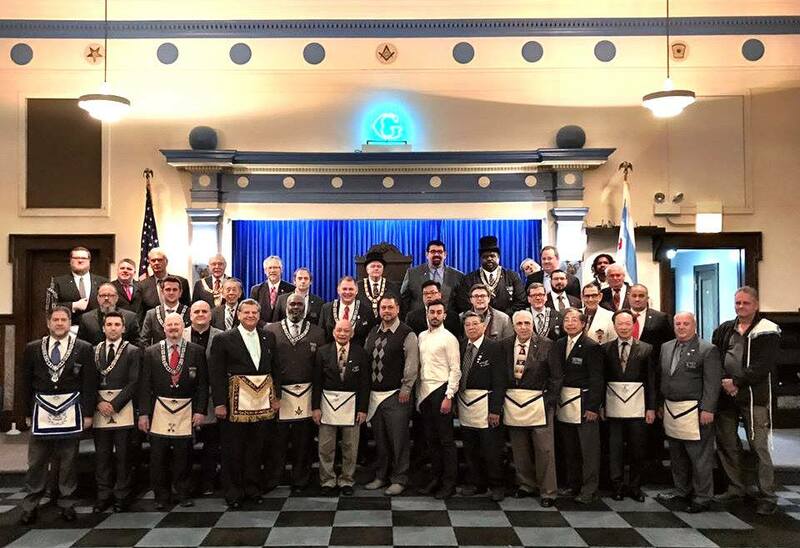 A full house of brothers from 5 USA jurisdictions. 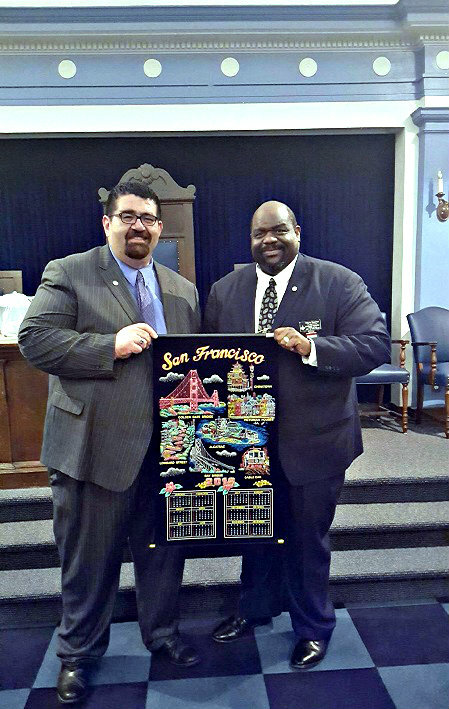 The largest was composed of a 22-member delegation from California Lodge # 1 of the Grand Lodge of California from San Francisco, headed by WM Michael Manneh. 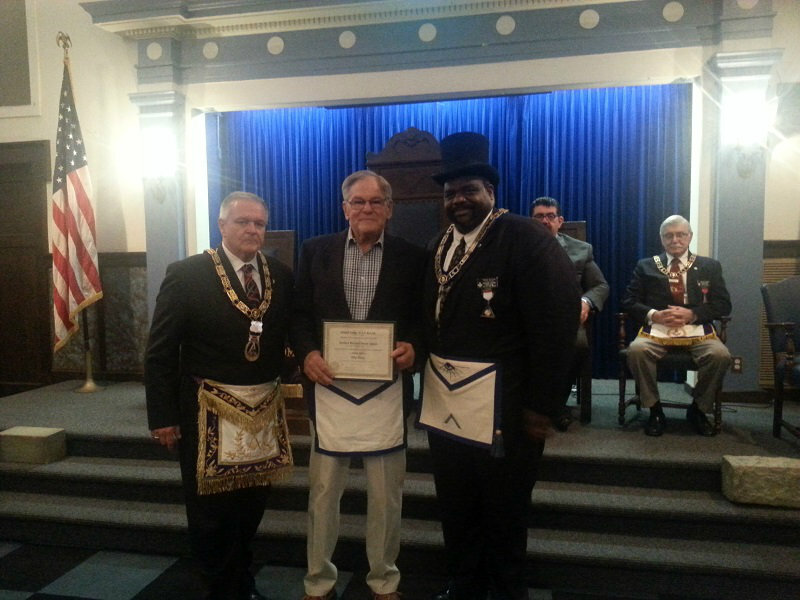 MWGM Anthony Cracco was surprised by being presented with an Honorary Membership to Hesperia #411. 2 Hesperia brothers (and brother-in-laws) Bro. James Bradley & Bro. Richard Quast were recognized with a 50 year pin and certificate. 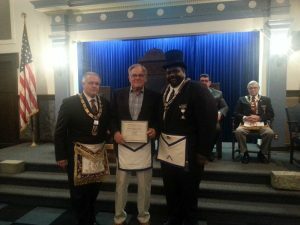 Our Worshipful Master Spooner Mason then proceeded to pass 2 of our EAs to the Fellowcraft degree.